Just Got Engaged? 6 Things To Do Right Away! It's the 6 month countdown until S and I say "I Do"! And 6 months since S dropped down on one knee and proposed at sunset on a Washington Coast beach. We were out for one last end-of summer camping trip and it was absolutely perfect. Accompanied by a bottle of wine, we were enjoying a sunset beach bonfire (yes, you can really have a campfire right on the beach of the pacific ocean coast!) and breathing in that gorgeous salty fresh beach air. As the sun dipped just below the horizon, he pulled me towards the Pacific Ocean and dropped down on one knee. It was utterly romantic and I, of course, said an immediate YES! Since it was late at night, we were out of cell phone range and on West Coast time with alot of our family in the Midwest and on the East Coast, we chose to wait til the drive home to share the news. We had over 12 hours to just savor the moment, start dreaming of our wedding and celebrate just the two of us! Since those 12 hours, we have been fully immersed in wedding planning. Beginning with phone calls to friends and family to share the news and resulting in questions of when, where, etc. . . right away, I have realized planning a wedding really is a full time job, even if you're working with a wedding planner or coordinator! 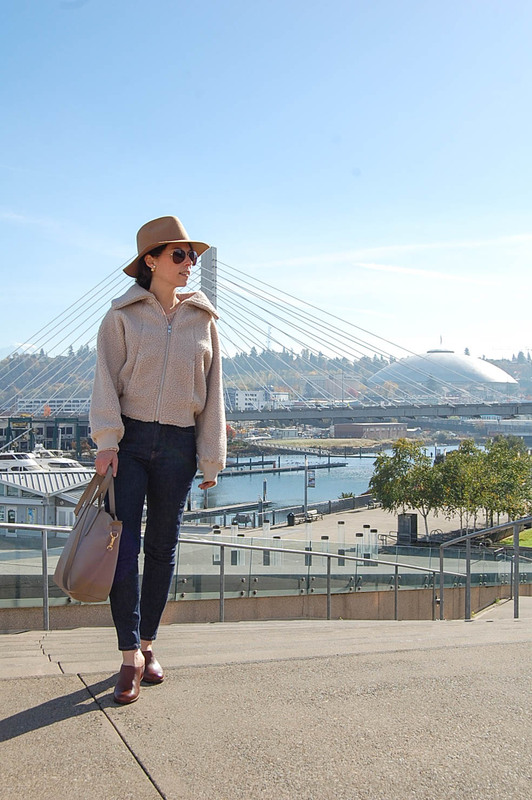 With 6 months down and 6 months to go, I thought now would be the perfect time to share 6 things I found were super important to do right away after I got engaged. And of course a huge congrats! With S proposing on a sandy beach, I didn't even want him to take the ring out of the box for fear of it dropping into those endless grains of sand. Right away, it's super important to get the right jewelry coverage for your diamond ring. Have peace of mind knowing that Jewelers Mutual Insurance Company specializes solely in jewelry. You get an extra level of protect that often goes beyond what may be covered by typical homeowners or renter's insurance. Wear and enjoy your ring without worry, Jewelers Mutual has been exclusively insuring jewelry for more than 100 years and offers repair or replacement coverage for all types of jewelry and watches. Coverage includes loss, theft, damage and mysterious disappearance (unexplained loss), and goes with you wherever you travel around the world. Hello, worry-free honeymoon! I so appreciate that evening, night and morning S and I shared together before sharing the news of our engagement with friends and family. After the proposal we stayed on the beach well past sunset with our glowing campfire; finishing our bottle of wine and enjoying the moment. Hours later, we wandered back to our campsite and ate S'mores for dinner before crawling in our tent. The next morning we enjoyed our first morning coffee together as an engaged couple, packed up our site, picked up a few souvenirs at the gift shop (2 wine glasses and a few postcards) and finally shared the news on the way home to Seattle over the 4 or so hour drive. Tears of joy greeted each call as we shared the news of our engagement. We chose to share with close friends and family first before posting to social media, something I also encourage you to consider, because once it's on social that news will spread fast! Nowadays, the options are endless for finding Wedding inspiration. One of the first things I did after getting engaged was to create a Wedding Inspiration and Planning Binder. Over the past 6 months, this binder has accumulated ideas for our ceremony/reception, snippets from magazines of bridal dresses, and references from friends and family for vendors. 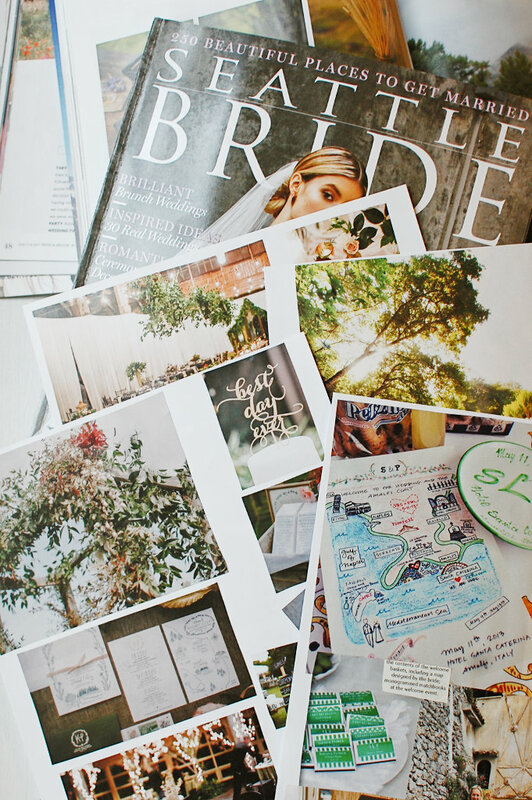 I also have both public and secret Pinterest boards; I spend hours (yes, hours) liking, pinning and re-pinning wedding ideas on Pinterest, an endless resource for bridal ideas. You can check out my Weddings of Dreams Pinterest Board for some of my ideas, although my main wedding planning board is secret (something I highly recommend!) and only shared with my mom, MOH, bridesmaids, stepmom and other important women in my life helping with the planning (even S hasn't seen it). 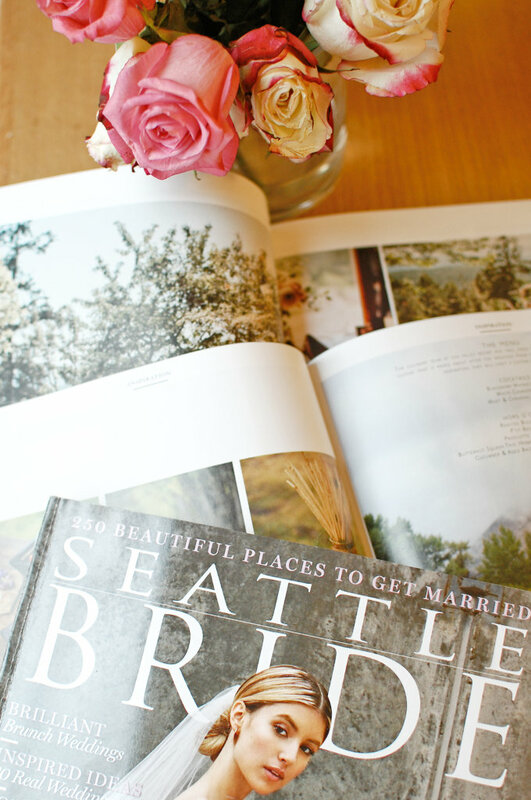 I also recommend picking up an assortment of current and vintage Wedding Magazines. 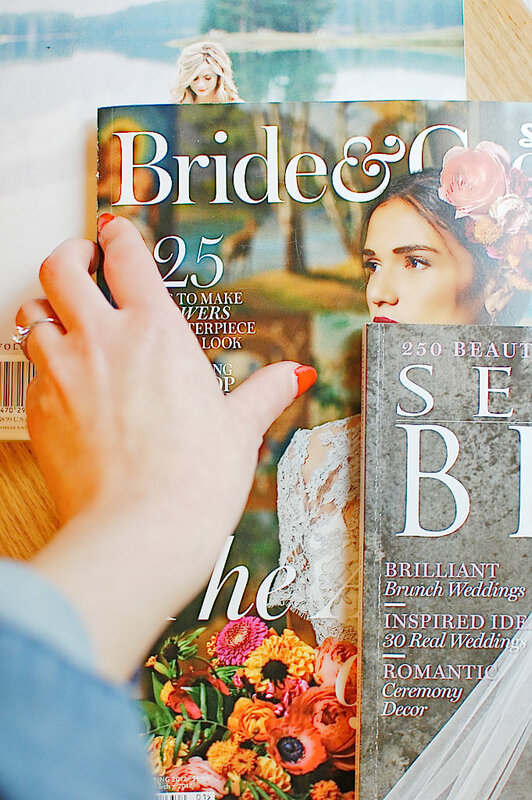 I've picked up an array of local bridal mags and those published nationally for a mix of local and global wedding trend inspiration. You can find a great selection at the grocery store, bookstores and even thrift stores (I found the coolest 90s Bridal Mag at my local Goodwill!). So much wedding inspiration everywhere! One of the first question's you will often hear right after getting engaged is, 'when's the big date?' or 'do you have a date set?'. If you live in a major City or popular Wedding destination location, you will want to start considering your venue before you even set that date. We looked into a few venues that were already booked a full two+ years out! I recommend picking the venue and finding out what dates are available. If you have your heart set on a certain day, month or season AND on a certain venue, you might have to be a bit flexible, such as waiting longer or shorter than anticipated, getting married on a Friday or Sunday, or picking new day/venue all together. The earlier you start looking, the more likely that spot and time of year will be available for your big day! In addition to picking a wedding date and venue, I found my to-do list a mile long and growing from the minute we started wedding planning. 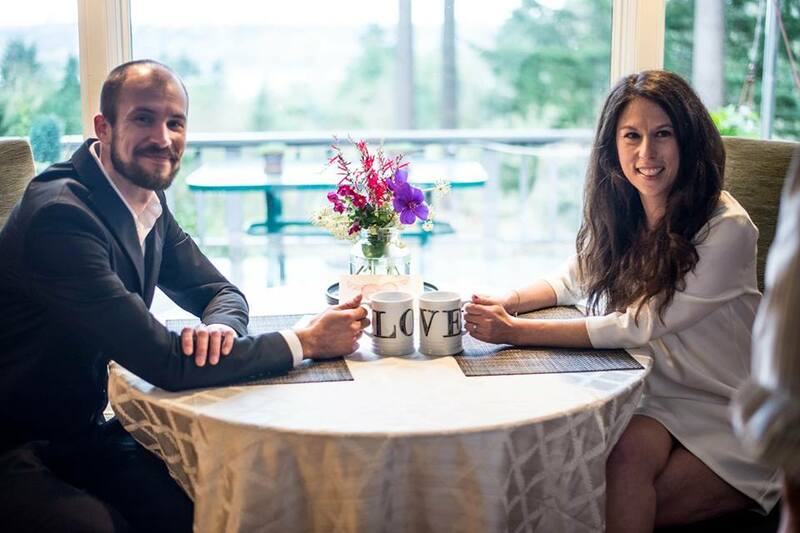 From flowers to music to catering to save the dates to picking our wedding party, I quickly began to get overwhelmed (seriously full time job!). To ease the stress, (remember: wedding planning is fun! This is your big day!) I created a master wedding planning to-do list right away, with advice from married friends and family and googling wedding to-do lists. This 12 month timeline (which is what I recommend, especially for securing the venue & date and other vendors you might have your heart set on - see above) I'll upload shortly and share in a separate post! It's super helpful, beginning right after engagement and leading up to and just past the big day (6 months til I say "I Do!"). Stay Tuned! 6. 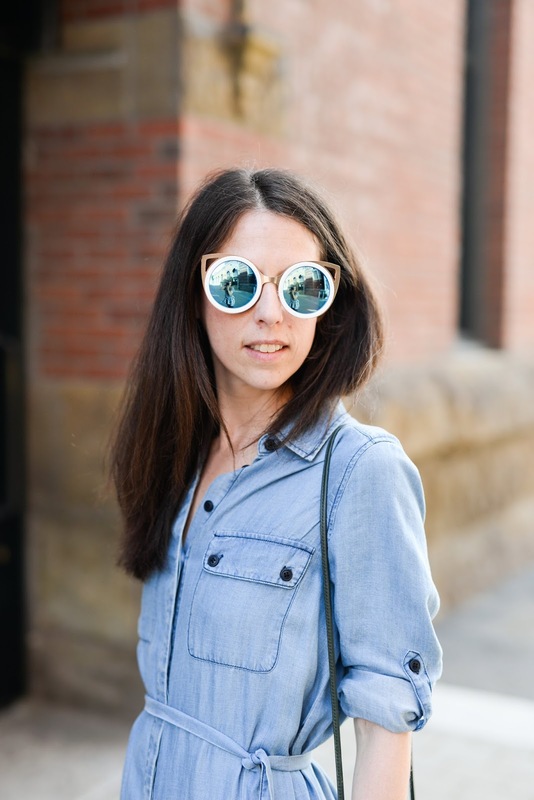 Don't Lose That Sparkle! While your first step after getting engaged should be getting your ring insured, you also want to make sure it never loses it's sparkle. Follow Jewelers Mutual Comprehensive Cleaning and Care Guide for your daily, weekly, monthly to-dos! Jewelers Mutual's comprehensive cleaning and care guide provides you time based checklists so you can keep your ring clean and cared for all year long. 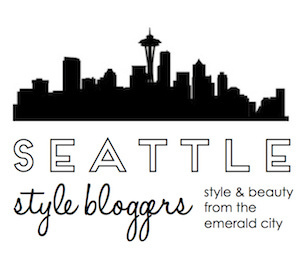 Don't lose that sparkle! Do you have any tips on what to do right away after getting engaged? And don't forget to check out the Jewelers Mutual Comprehensive Cleaning and Care Guide to keep your diamond ring sparkling and my Weddings of Dreams Pinterest Board for tons of Wedding and Bridal inspo! 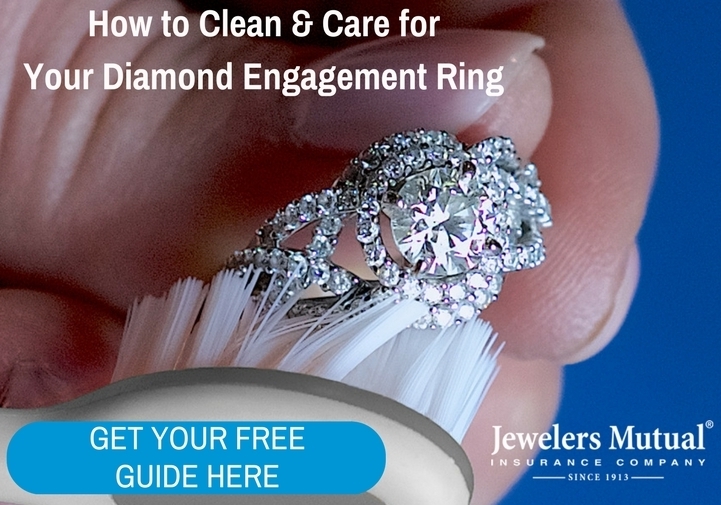 Download your own Jewelers Mutual Cleaning and Care Guide - just click the image above!